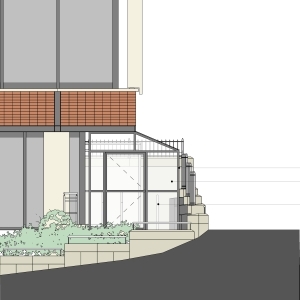 Bournemouth Borough Council: Pure Town Planning are “wheelie” pleased to announce that we have secured planning permission for a new cycle store to serve a large office building along Richmond Hill in Bournemouth town centre. 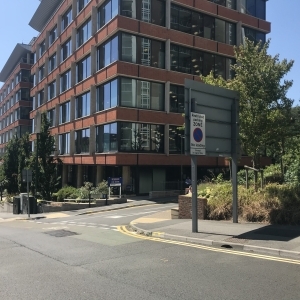 The applicant approached us as the two existing cycle stores on site were already well over capacity, which led to frequent bicycle thefts which in turn discouraged staff to commute to work by bicycle. Throughout the process of this project we worked in “tandem” with Footprint Architects who designed the scheme, which uses the currently underutilised space adjacent to the building to provide much needed secure cycle storage while being mindful of the immediate surroundings and the overall appearance of the existing building. As part of the application, we prepared a comprehensive supporting design, access and planning statement which set out the merits of the proposal in a clear and concise manner, whilst making it clear that the development was in accordance within adopted planning policies that support sustainable transport modes through the provision of safe, accessible cycle stores. Although at first the proposal was met by some resistance from the planning officer, we were able to offer some design tweaks and secure a successful outcome. If you are looking to promote sustainable transport methods on site and are looking for a firm who will work tirelessly to “steer” your development through the planning process then why not contact Pure Town Planning on 01202 585524 or info@puretownplanning.co.uk for a confidential free no obligation planning consultation.